The Book Doctors were lucky enough to get to keynote the New England chapter of the Society of Children’s Book Writers and Illustrators. If you are in any way, shape, or form interested in writing a book for kids, you’re crazy not to hook up with this organization. There’s so many smart, encouraging, inspiring, learned people both teaching workshops and attending them. This year we were fortunate enough to meet one of the founders of SCBWI, Stephen Mooser, himself the author of over 60 books. So we thought we’d pick his brain about the intersection of books, kids and writing. To read on the Huffington Post click here. Stephen Mooser: I have a degree in film from UCLA and another from UCLA in Journalism so though I was not a very good filmmaker, I discovered that what I really liked was stories, and had always been writing stories as I grew up. After a three year stint in various jobs, including two of those years looking for treasures in Utah and Panama, also unsuccessfully, I got a job writing a reading program for a major publisher. Over five years I wrote almost 250 books for a program that, after a run in schools, became the basis for Learning Company’s Reader Rabbit — also at that job I met a fellow writer, Lin Oliver, and together we started the SCBWI in 1971. TBD: What were your favorite books growing up, and why? SM: I loved adventure — so Treasure Island may have been my all time favorite book, but I also read lots of science fiction, 2 newspapers every day, and lots of nonfiction, especially true stories of weird and strange events and people. Many of these interests eventually found their way into my books for children. TBD: How did you get started in the book business? SM: Writing the Reading Program and starting the SCBWI opened the door to publishing for children. Even from the organization’s early days I met generous and talented authors and agents who mentored me. Sid Fleischman became a mentor and lifelong friend and helped me with what became my first published book, 101 Black Cats, for Scholastic with illustrations by Quentin Blake. TBD: How did you go about starting the Society of Children’s Book Writers and Illustrators? SM: As I mentioned above I met Lin Oliver while we were writers on the Reading Program. We looked around for an organization to join and when we discovered there was nothing out there, we took out an ad in Writers Digest and a week later had our first 5 members. What we had not realized was what a wonderful community we had tapped into. The SCBWI, save for a small paid staff, is entirely made up of volunteers who run our 100 plus chapters around the world because they care about literacy and creating great books for children — without them we never would have grown to more than 22,000 members today. 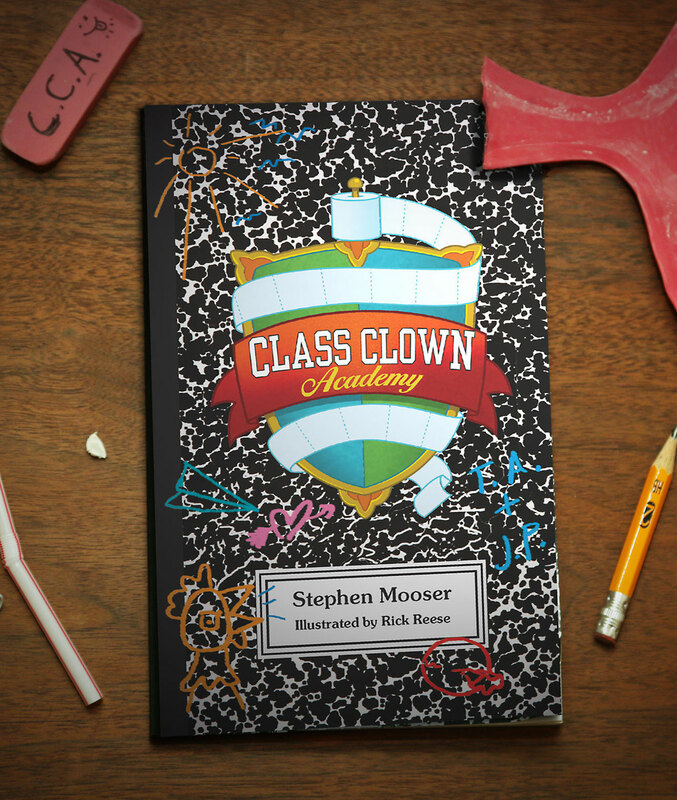 TBD: Tell me about Class Clown Academy, it’s such a fun book! SM: I have published more than 60 books for children, picture books, nonfiction, middle grade series and some novels, but when I began writing Class Clown Academya few years ago I found myself truly enjoying myself. Perhaps it was because I’d been a class clown myself, but primarily because I thought the short chapters that make up the book were really funny–my agent had described the manuscript as Wayside School meets Animal House–which I think is an apt description. I was disappointed then that my traditional publishers were not interested in the subject–because, as one said, teachers don’t like class clowns, and teachers buy books. Despite my protests that my Class Clowns just keep school on a light note and are not the disruptive troublemakers some confuse with a funny student. In any event I decided I wanted the book to find an audience and so put together a team of editors and designers, and an artist, and brought it onto the market. TBD: What made you decide to develop an App for this book? SM: Once I had the book I knew I needed to build a virtual school and so put together a team of animators and programmers and built and you can find the App in the Apple Store. The school has a very funny film in the CCA Theater called “Farts and You,” has a wacky science lab, a music room where you can play, and record, a concert on whoopee cushions and a student store where you can buy Class Clown Products — and, outside the Principal’s Office in the Diploma Mill you can print your own degree bestowing on you advanced class clown privileges. Over time I hope to organize an association of former class clowns and hold a convention. That should be quite an event, unruly, unpredictable and uproarious. TBD: What do you think about the way the publishing business has changed since you first got into it? SM: In some ways the changes have been profound–the consolidation of publishing houses into 4 or 5 giant corporations, and their desire to find and publish a blockbuster franchise such as Harry Potter and Hunger Games has been the most visible–but underneath it all the publishing houses are still populated by smart, dedicated editors who look for and publish wonderful books by some incredibly talented writers and artists. Writers and artists who in the past would have turned up their noses at the thought of writing a “kiddy book” have now discovered what a unique art form in particular a picture book can be. And the result is that we are in a Golden Age of children’s books. TBD: What things do you see successful authors doing? Conversely, what are some of the mistakes you see writers make? 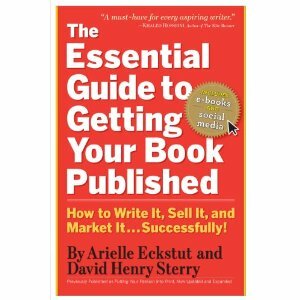 SM: To be a successful author today you have to also be an active advocate for your book. Publishers don’t have the staff or funds to properly promote any but the biggest books. Of course, you have to start by writing a good story. I suppose one mistake writers make is writing for the current trend–if you even see there is a trend you are already too late. Write what makes you enjoy the process then, whether that sells or not, you have (1) had a good time and (2) learned a few things along the way that can only make you better at your craft. TBD: What do you think is the value of a writer joining SCBWI? SM: First, joining shows you are committed to better yourself as a professional, and you will immediately have access to scores of publications on every subject from lists of publishers and agents, to marketing tips, to ideas on craft and options regarding independent publishing. 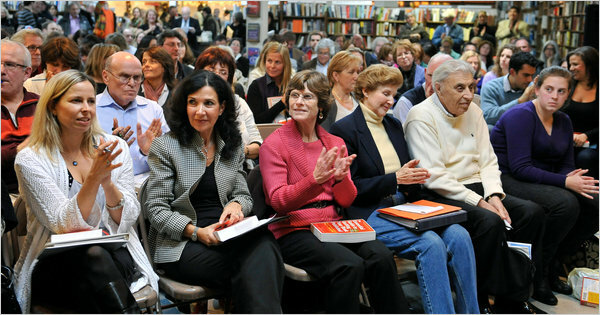 And of equal importance, you will find yourself part of a worldwide community of supportive writers and artists who can connect with in person at our many events or online. TBD: We hate to ask you this, but what advice do you have writers? SM: My advice is for the new writer just entering the field. The competition is stiff–publishers get tens of thousands of manuscripts every year so you have to give them something that they have never seen before. I go to the movies once a week and I enjoy many of them, but most of them are just a variation on a theme–but every once in a while I see something that knocks me out–Star Wars, Pulp Fiction, Moonrise Kingdom were for me those films. If you come up with something fresh, whether a story idea or a character or an art style, you will sell that book even if you don’t have a track record or an agent. 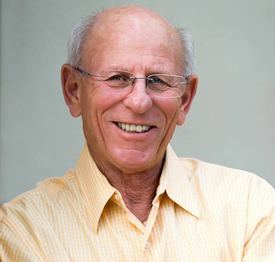 So, think hard, study hard and work hard and you will succeed–I promise you–in my forty plus years of children’s books I’ve seen that hundreds of times. Stephen Mooser is the author of more than 60 books for children from picture book titles such as The Ghost with the Halloween Hiccups, to nonfiction, Lights! Camera! Scream!, series and chapter books, The All-Star Meatballs, The Treasure Hounds,The Creepy Creature Club, Goofball Malone, and novels such as The Hitchhiking Vampire and It’s A Weird, Weird School. 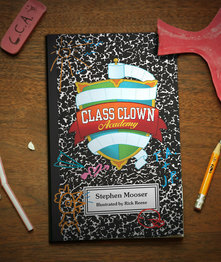 His most recent title is Class Clown Academy which accompanies his interactive online virtual school. A former filmmaker and treasure hunter, many of his adventures have found their way into his books. Among his awards is The Christopher Medal for The New York Kids Book and a 2010 Eric Carle Honor Award as a Mentor. He is co-founder, with Lin Oliver, of the Society of Children’s Book Writers and Illustrators, and currently serves as the organization’s President. Beginning February 6, 2015, you can email your pitch to nanowrimo@thebookdoctors.com. PLEASE DO NOT ATTACH YOUR PITCH, JUST EMBED IT IN THE EMAIL. All pitches must be received by 11:59PM PST on March 6, 2015. The 25 random pitches will be posted on March 15, 2015. Winners will be announced on March 31, 2015. Anyone can vote for fan favorite, so get your social media engine running as soon as the pitches go up! Join us for a webinar on Wednesday, January 14, 8:00-10:00 p.m. EST. Only 20 slots available. If you are unable to be present live, you can send us your pitch beforehand. We will read it aloud and you can download at your leisure. Now, you can participate in the Pitchapalooza magic without leaving your home or changing out of your jammies! Now Pitchapalooza is a webinar. And, unlike the live event, writers are GUARANTEED to have their pitch heard. As always, writers get one minute—and only one minute—to pitch their book. We will help you improve the pitch, not tell you how bad it is. We will critique everything from idea to style to potential in the marketplace to comparable titles, and so much more. This is a great way to jumpstart your writing career, and a wonderful holiday gift for yourself or the writer(s) in your life. BUT IT IS LIMITED TO 20 PEOPLE ONLY! On January 14, follow the link. Log in 5 minutes before the webinar to view.